SlideshowMailman. Delivery route of mailman Tommy Rogers. [Susan Edwards] All maps from Everything Sings: Maps for a Narrative Atlas (Siglio, 2010). SlideshowIntrusions Under the Hill, key. SlideshowThe Light at Night on Cutler Street, key. In 1974, I began teaching environmental perception to landscape architecture students at North Carolina State University in Raleigh. I used mapping as a way of selectively focusing their attention on those aspects of the landscape that, in the instrumentality of their training as future professionals, they were apt to overlook: the way the land smelled, the way it felt in their legs when they walked it, the sound of the wind in the oaks after all the other leaves had fallen, the way twilight made all the difference. At least this was all useless knowledge — nothing a developer or a bank could monetize — and the maps were fun to make. And because landscape architecture students are design students, there was both an attention to polish and an imaginative drive to find the less “mappable” things that, from the beginning, set their work apart from that of cartography students who were more concerned with “getting it right.” Even so, I couldn’t get them to leave the streets off their maps. As they mapped the nearby neighborhoods — Cameron Village, Cameron Park, Deveraux, Brooklyn Heights and Boylan Heights — the streets seemed to be the irreducible subject, the what-it-was that made neighborhoods neighborhoods. If you’re laying out subdivisions, as many of these students would end up doing professionally, streets really are all you have to play with, which is exactly why I was all the more eager to get rid of them. The streets seemed to inhibit the other qualities to which I was trying to draw their attention. The streets always emerged in the foreground no matter how far into the background you intended them to recede. Then in 1982 we were working on Boylan Heights, on a whole atlas of Boylan Heights, specifically a map of street lights, and we began paring away the inessential, the map crap (the neat line, the scale, the north arrow), the neighborhood boundaries, the topography, finally the streets: first the scaled streets, then a schematic grid of the streets, and finally, even a hint of a grid of the streets. Daylight went too — that default daylight that most maps take for granted — so that we were fooling around with circles of white on a black background. It became clear that the map wasn’t about the lamp posts, but about the lamp light, and light was something we weren’t sure how to deal with. Certainly, the uniform white circles we’d been drawing caught nothing of the way the light was fringed at the edges, and one night, armed with a camera, we scaled a fence and climbed a radio tower on the edge of Boylan Heights hoping to catch the night lights on film. What a disappointment! The view from above was nothing like walking in and out of the pools of dappled light on the streets below. But I had a pochoir brush at home, and when Carter Crawford — who’d put himself in charge of atlas graphics — used it to draw the circles, it was magical. That was the way it felt to be walking the streets at night! Nothing but blotches of white. The usual “efficient” map would have located everything on the street onto a single sheet — that is, different marks for lamp posts, fire hydrants, street signs, trees. Our inefficient map concentrated on a single subject, and, rather than lamp posts, it brought the pools of light into view. No legend, no north arrow, no neat line, none of the usual apparatus. At last, a modernist feel! One way of thinking about Boylan Heights is as a place in Raleigh, North Carolina, bounded by a prison and an insane asylum and some railroad tracks and a little creek. But there are other ways of thinking about it too. You could think about it as a neighborhood, that is, as some sort of community, or as a marriage of community and place, or as those people in that place, their relationships, and their ways in the world; and thus, less a place than a process, a life process, a metabolic one. That would take an atlas to unravel: what a neighborhood is, what a neighborhood does, how a neighborhood works. If this weren’t such an ordinary, everyday thing, you’d think it was magic, but it’s just the transformation of the impossible, inaccessible space of the city into the possible, accessible space in which you live. When you look really hard at a neighborhood, it’s impossible to miss how uncertain its edges are. This is because neighborhoods aren’t about being distinctive, or rather, they’re not especially about being distinctive. The most important thing about neighborhoods is how similar to the rest of the city they are, how undifferentiated, how ordinary. Neighborhoods are part of the city. They’re most of it. What neighborhoods do is make the city real. They transform the common, ordinary stuff of the city — water and sewer, electricity, streets — into the real stuff of our lives. This is the part the neighborhood plays in the life of the city, the part of a Proteus capable of turning a perfectly ordinary lamp post or crab apple tree or stretch of sidewalk into that power pole whose cables hum and sing at night as you fall asleep, that crab apple beneath which you played as a child, that stretch of sidewalk in which your kids wrote their names while the concrete was still wet. It transforms the stars that shine on everyone alike into the stars that you wish on. Let me hasten to say that, by no means, has all of this made it into the book Everything Sings or the slideshow presented here. These are maps for a narrative atlas, not the atlas itself. I have included four new maps drawn for Places, along with a selection of maps from the book. The threads began to twist themselves into an epic poem whose structure may someday shoulder the burden of its argument. But the project is not finished, and it may never be. What you see here is a piece of a dream: a collection of maps as a poem, or fragments of a much longer poem out of which a passable semblance of the whole has been reconstructed. This feature is adapted from Everything Sings: Maps for a Narrative Atlas, published in 2010 by Siglio Press, which includes an essay by Denis Wood and more than 50 annotated maps. Four of the maps presented in the slideshow are new works; they appear for the first time here. We are Second year foundation students from Srishti School of Art, Design and Technology, and we are currently exploring Perception. So far we have looked at the biological and psychological perspective, and are presently looking at the cultural perspective. We are responding to your blog as part of our assignment, which looks at the factors that dictate our perception – the environment and early socialization. You have taken cartography to a new level by playing around with the sensation aspect of a place. Like you said, "the map wasn’t about the lamp posts, but about the lamp light..." This makes your maps less culture-specific and more universal. By mapping things that seem trivial but play a significant role in our daily lives (such as the dog barking and mailman's route) you allow the person who looks at the map to get a more holistic feel of the neighborhood in a single glance than someone would from hours of staring at a traditional map. you have given insight to a designers approach to architecture. you shows how a designer can interlink imaginative and cognitive drive towards mapping data. The new approach of maps used as a narrative atlas which will also help people make personal connections and simplifying complexities while reading a map. Visual understanding is given emphasis and text follows visuals for better knowledge. Personal connections can be made by an individual to the map when they can identify with the similarities they perceive. We have preset ideas when it comes to mapping information but through this post our perspectives changed towards the idea of data visualization. Maps by definition are supposed to be objective so that people from anywhere can look at them and know exactly what is where. Making them subjective makes them lose out on that purpose but makes them personal to the maker. What makes the city around us and our surroundings what they are to us, is not the geographical and physical layout but our relationship and experiences with them. Our perception and experience of a set up and environmental interactions is what personalizes the otherwise vast and vague infrastructure. Maps have a well-defined and universally accepted definition of a scaled down, simplified overview of physical locations. But what maps don’t do is map what makes these places what they are to us and how we relate to them. It was very interesting to see perceptions and feelings about a place being translated onto a map. In this aspect, the maps truly take place of poems. Once a place is inhabited, it is no longer the layout of the place, but what the elements in the layout mean to the inhabitants that describes the place and gives meaning to the life it begins to possess. India is an absolutely diverse, busy and vibrant place. For an onlooker, a map of its structure would not tell him what india means to its people, but a map of the very elements that give to her personality would convey her spirit just fine. Maps can help describe a society, a community, a neighbourhood to an outsider. An indian neighbourhood would therefore show its existence through all of its life, the people, the sounds, the mood and maybe even the cows! I think your idea of making maps more creative and looking at those objects which are generally not paid attention to is very interesting. Giving maps a poetic feel and expressing your personal interpretation about the city is kind of vague but it works for me because studying a map like that without the usual boring elements would be a lot of fun. The part where you talk about the neighbourhoods adding more meaning to the city made a lot of sense. Looking at elements like these and depicting them in an interesting visual manner like the light blotches would be far more interesting rather than putting the same old arrows and boundaries etc on a map. Your approach towards mapping and environmental perception is different and very interesting but generalizing the spaces of a city might get a little boring. But apart from this the whole concept of making maps as poems seems great. The article ‘Everything Sings: Maps for a Narrative Atlas’ by Denis Wood facilitated a discussion amongst us group members during which we drew parallels with another article ‘and if the nature of thought is not everywhere the same?’ Which is an excerpt from the book “geography of thought” by Richard E Nisbett? The above article talks about how the author wanted design students to eliminate the streets from the map. He referred to streets as an irreducible element which came forward irrespective of how much you wanted it to recede into the background. In our heads we formed a relation between the above lines and to the cultural diversities as barriers, about which we read in the ‘geography of thought’. No matter how forward our thinking or how much we want to overlook the diversity, is it a factor that invariably comes forward one time or the other. The coming forward of this distinctiveness of different cultures is often a positive factor as different cultures and societies bring together a diversified range of ideas and skills. This assortment contributes to heterogeneous society which leads to a global progress. These different cultures and societies are like the neighbourhoods that form a city. Each distinct and unique as the other come together to create the world. They work together to make sure it thrives and progresses. They come together to make real. The author wanted his students to put aside the standard things about mapping, like topography and concentrate on the less direct things. We saw this as an obvious attempt to bring about emotive learning where space is not only understood on a superficial level but also as the essence of that space and how it shapes the culture. If two communities had to switch their cities or spaces, their cultures would irrefutably change to adapt to the space and its elements. Ordinary things have significance to a place’s dynamics; culture and perception are shaped and in turn, shape the space we see. The identity of a city is made up by the identity of the neighbourhood, which in turn can again be broken down into the identity of each element in that space, including the animate and inanimate elements. The culture of a place is the reaction of the people to the place and the reaction of the space to the people. For example, a regular street can transform into a living, breathing neighborhood, with its own identity and human touch, for an observer, if he/she were to understand that say, the streetlight on the opposite side tends to go off every 2 hours. In reference to Clotaire Rapaille’s The Culture Code, any learning has to have an emotional aspect to be retained properly. The author’s specifications to map out the otherwise ordinary things help them find out the emotional aspects of an area thus enabling better retention. In your (Denis Wood’s) lens of perception, the essence of the place is based not on the basis of the people, their societies and communities, not even necessarily the accurate representation of the physical space, but is determined by cultural markers, where the place is experienced, not seen. What we’ve understood from your study as well as what we’ve been discussing in class, is that it’s more about mapping people rather than places; it’s about functions and interactions within a space that define it instead of just its physical reality. We’ve been discussing the things we do as social beings, things that are common across the world, despite our cultural differences. For example, we feel, we gather, we have faith, etc. What we’ve understood from your work is that you’ve tried to capture and explain these common threads. As you have used cities as physical boundaries and attempted to go beyond them with your maps, we believe it is important, as designers, to go beyond cultural differences that might behave like the streets that kept coming up in your maps and instead explore and make use of the commonalities. But having said that, it is equally important to be sensitive to culture while designing specifically for one. Having studied geography all our lives, we're used to seeing maps as empirical layouts of areas, which contain only physical features, and political boundaries thereby ignoring the cultural aspects of a place. We don't understand the personality of a place through regular maps. Through your study, we have realised, maps have been elevated to a position where they are more connected to the people, culture and daily routines of society. With the world becoming smaller every second,cultures are intermingling and the importance of the physical space is reducing as compared to the vibes or the atmosphere of the space.There are certain quirks in a society that define them and when a newcomer enters that space,his behaviour is altered by the existing norms.Using maps that define spaces rather than landscapes, enable us to see these subtle behavioural changes we normally overlook.For instance,"Sidewalk Graffitti" and "Police Calls" reiterate what we have said above as they display more than the paint on the walls or the 911 phone calls,instead.they give us an insight into their lives of the people in Boylan Heights. "Go straight, take a right at the tree with the tire hanging, go further down till you reach a broken bench, take a left from there and keep looking right, you'll see it. "- Those are the kind of directions we are used to. We relate to these maps because in India, no one really uses a technical map to navigate their way through a neighbourhood. We look for everyday landmarks to get to places. The conventional approach to looking at map is very different from the technique used here. Also, mapping things like dog barks, fences, reflects the neighbourhood, it's culture and it's people. After looking at your experiment we consciously realised that this is how we really navigate through the streets on a day to day basis. Wood takes cartography to a symbolic level that brings out the hidden aesthetics of the city that go unnoticed in the case of a map that is merely topographical or symbol-based. Rather than mapping a neighborhood or a city for its rigid and tangible structure, Wood tries to, in many ways, track and document the narrative of that place; its fragrance, its emotions and its interactions. In doing so, he is allowing the observer of the map to realize the neighborhood or city in a more holistic level rather than just a navigational or instructional plane. Wood’s dream is an amalgamation of the hardened perspectives of a people, in a social context, into an argument that is presenting a city as what it ‘is’ rather than what it is defined as by longitudes and latitudes. 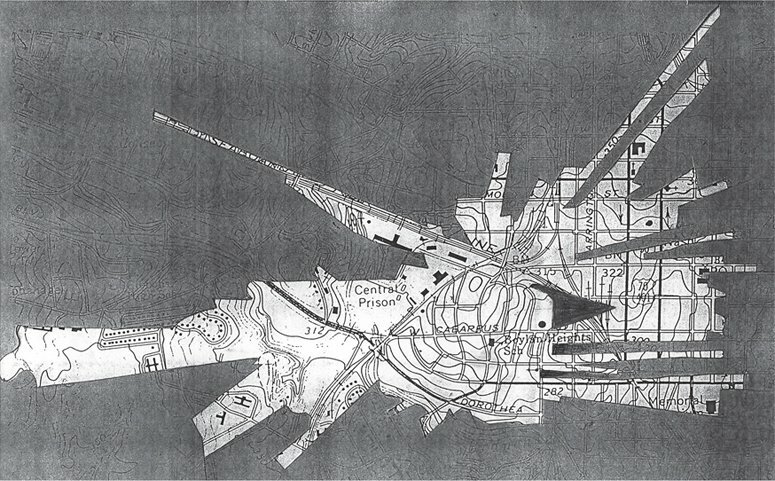 He illustrates the culture, traditions and human activity, pertinent to a particular place, through his maps. The article demonstrates this idea that people tend to imagine or see a place that they have heard about. The relationship that each individual makes in order to create that mental picture is based on memory; maybe the name of a place or a story they heard. Wood has categorized and singled out certain aspects of society that bear relevance to the framework of that neighborhood. Also, personalizing the elements of a map make it easier for the observer to recognize and remember. Everything about this form of mapping is idiosyncratic. 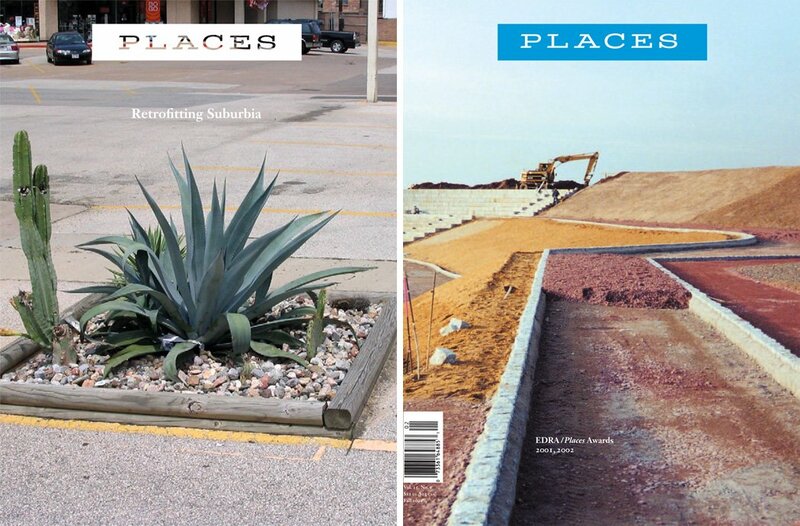 The Maps breathe life and document stories central to that particular city. Traditional maps enable the user in finding their way around a given location.Here you have created unconventional maps that give us an insight into a very simplistic form of mapping. However, if one were to focus on the personal and subjective aspects of society, it could broaden the understanding of people in that particular region and in effect the general culture.Also, you mentioned the feeling the maps express to create a poetic form. What if there was a poetic rhythm to map the cultural background of people? Denis Wood is a geographer, independent scholar and author of several books, including The Power of Maps, which originated as an exhibition he curated for the Cooper Hewitt National Museum of Design.